These two sisters have it all, fantastic bone structure, legs for days, breathe taking porcelain skin, a physique any model would envy and to top it all off they are heiresses...Move over Hiltons! 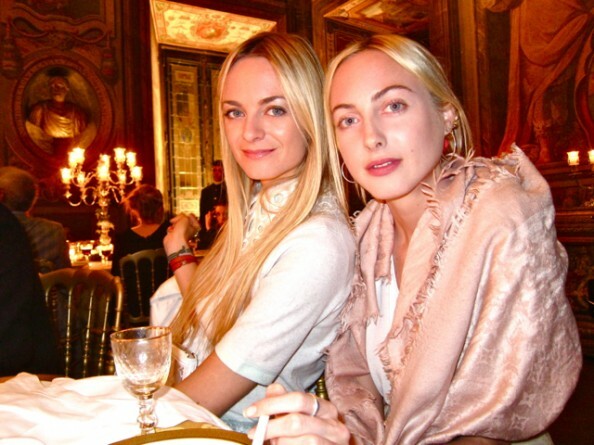 Claire and Virginie are the granddaughters of Jacques Curtain - Clarins, founder of the Clarins cosmetic empire. Ever since Anna Wintour took a fancy to the two beauties, they have been seen front row at the the biggest shows and have made appearances on countless street style blogs. Both the girls have an insane sense of personal style and wardrobes that Carrie Bradshaw would be jealous of. Combining both high end and high street pieces together, Claire and Virginie love show stopping, statement making looks and are often wearing towering heels that even Victoria Beckham would be impressed by. I personally love how they don't stick to one certain style, they push boundaries and are not at all afraid to experiment with fashion and make up. Defiantly a pair to watch!! Very stunning photos! We like this post!